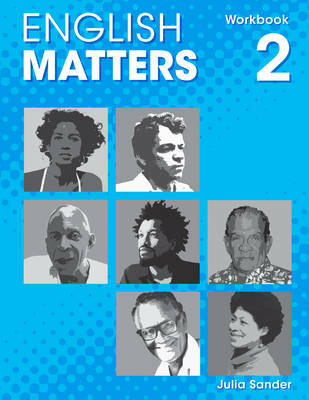 "English Matters" is a comprehensive four-level series for Caribbean students, which provides thorough preparation for lower secondary and CSEC examinations. Student's Books 1-3 are supported by detailed Teacher's Books with audio CDs to develop listening and speaking skills. Workbooks provide additional practice of key points. "English Matters for CSEC Examinations" includes thorough preparation for examinations including regular practice tests, model examination papers and annotated sample essays. The series adopts a lively approach and offers: complete coverage of Caribbean English syllabi as shown in Scope and Sequence charts; a contemporary approach including up-to-date texts on current issues and suggestions for using IT; a focus on skill development leading to independent learning; a lively task-based approach with lots of student activities; a range of stimulating listening and speaking tasks and audio CDs with recordings made in different settings; a wide selection of reading texts of manageable length, with comprehension questions at different levels; thorough coverage of grammar, including practice exercises at different levels and a reference section; step-by-step guidance on developing writing skills; consolidation exercises and extension material for students of different abilities; and, Teacher's Books providing support and fresh ideas for teachers.